On Thursday it was upheld by the Supreme Court that the university grant commission’s (UGC) policy on fixing eligibility criteria for candidate qualifying in the national eligibility test (NET) not to be arbitrary and illegal. This came with a bench that was hearing the UGC petition challenging the Bombay High Court that had earlier ordered to set aside the eligibility criteria fixed by UGC after holding the UGC-NET in June 2012. The courts shall not interfere in any way in educational matters not unless there is a violation of statutory provision, a bench headed by Justice K.S. Radhakrishnan said. 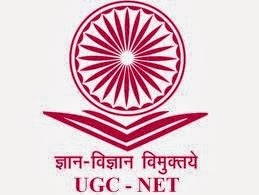 In March 2012 the UGC called for NET application and in the same notification it prescribed a minimum mark of 40, 40 and 50 per cent in papers 1, 2 and 3 respectively. The candidates belonging to the Other Backward Classes and the Scheduled Caste and Scheduled Tribes were given a relaxation 5 and 10 percent respectively. The UGC had added a clause that was prescribed that all candidates should attain a 65 per cent aggregate mark in all three subjects for a general candidate. It also suggested a 60 per cent for those candidates who belong in the other Backward Classes and a 55 per cent mark to those candidates who are from the Scheduled Castes and Scheduled Tribes. All these marks are the final qualifying criteria for the various students. The candidates found the clause not in their favors and hence they challenged it before the Kerala High Court and the Bombay High Court. The court held that in all academic matters unless there is a clear violation of the statutory provisions, or that any regulation or notification issued the court will stay out of the matters. This is because all those issues are in the domain of experts. The UGC is an expert body that has been trusted with the basic duties of determining and maintaining the required standards of teaching. The UGC can take any steps regarding the fitness of the teaching, examination and research in the universities. To attain the said standards the UGC has to lay down some criteria’s that will see into the attainment, the Supreme Court said.